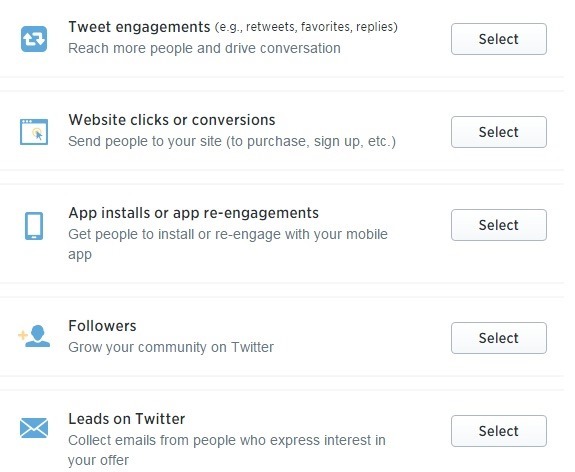 Twitter Opens Up Their DIY Ad Platform For SMBs; No Minimum Budget Required! Twitter finally opened up their advertisement platform for small businesses across the globe, without any minimum budget requirement. This means that the small mom-and-pop store across the street can fairly compete against the global MNC on Twitter, without any major financial gamble. Small businesses can now target 316 million active Twitter users from 200 countries, serving them advertisements in 15 different languages. Earlier, Twitter used to demand a minimum budget of $10,000 for starting advertisements on their platform, which irked SMBs and smaller brands. Agencies used to feel helpless, as a small business would find it hard to calculate ROI of such a huge amount in one single go. After this opening up of advertisement platform, advertisers will now have three big choices for running digital ads: Google Adwords, Facebook ads and now Twitter ads. Increase website clicks or conversions: Advertisers can run special campaigns with a dedicated landing page to accomplish a particular task like signing up for a new service. There are around 5.1 crore SMBs in India, and by 2020, there would be 11,500 Indian startups. By opening up self-service advertisement platform for SMBs, Twitter, has very effectively positioned themselves to counter the onslaught of Google based ads and Facebook ads. However, in case either Google or Facebook decides to acquire Twitter, then their easy and specific advertisement platform can be a major deal-decider. In short, Twitter has allowed themselves huge negotiation room by allowing SMBs to run ads on their platform: either they will grow organically from here or they will allow themselves to get acquired. Either way, it’s a win-win situation for Twitter now. More details about Twitter’s advertisement platform can be read here. 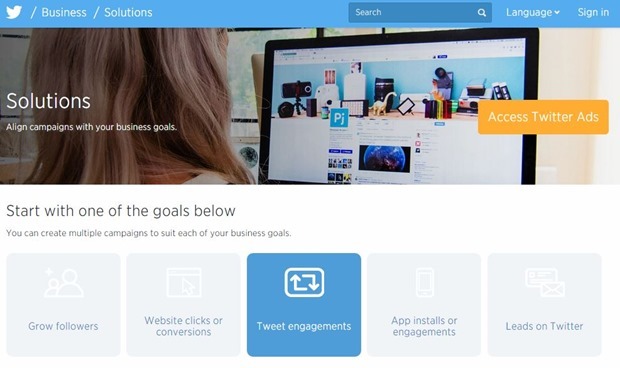 "Twitter Opens Up Their DIY Ad Platform For SMBs; No Minimum Budget Required! ", 5 out of 5 based on 2 ratings.